Dan and Laurie both natives of Redding, California. Married for 12 years with 3 daughters and 5 grand children. 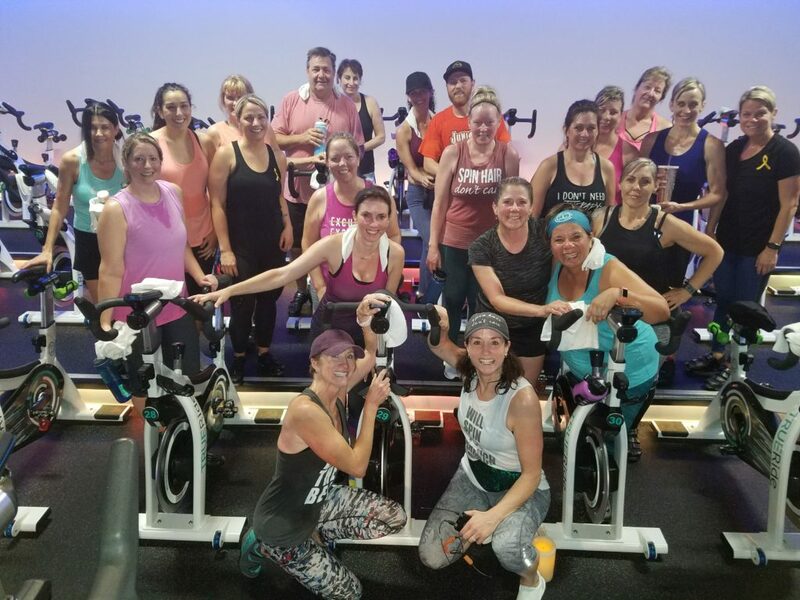 With their combined enthusiasm and knowledge of owning and operating successful businesses has surely made this Indoor Cycling Studio a success. 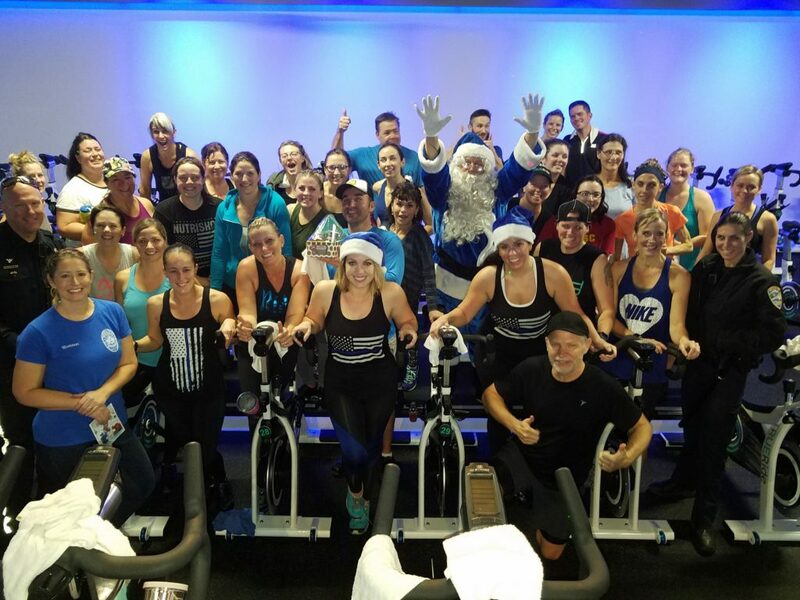 They believe TRUE Ride has a positive impact on the community they serve. It is their vision that together they elevate their employees, customers, and neighbors that has created a positive change. They have been innovators, leaders and contributors to an inclusive society and a healthy environment so that TRUE Ride and everyone they touch can endure and thrive. What is TRUE Ride? We are a boutique cycling and strength studio unlike any other. We believe in nourishing your body and your soul. Inside our four walls you will find community, energy, encouragement and freedom to be the truest version of yourself. 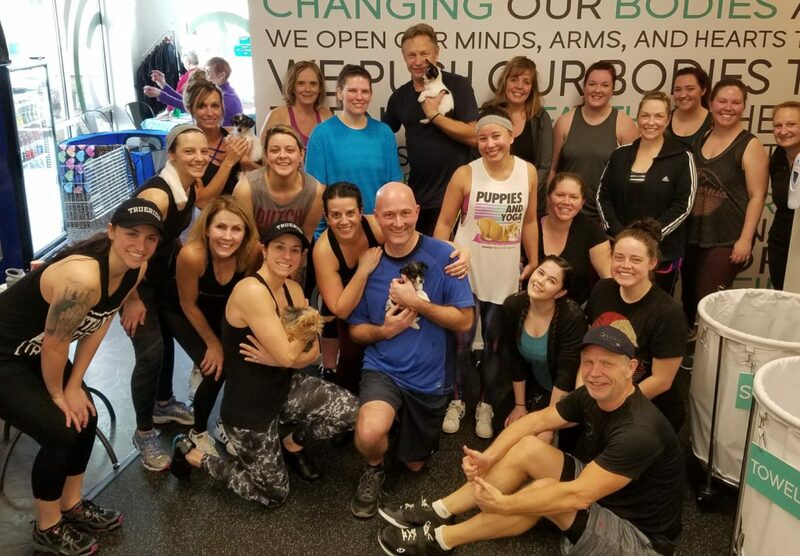 We are a team, working towards a common goal: empowering you to find health and happiness, not only for the 45 minutes we spend together, but for your entire life. 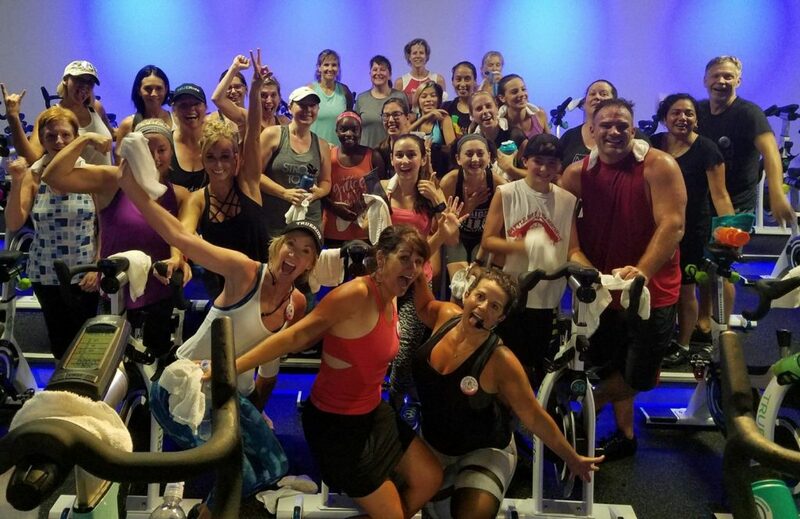 We inspire the athlete in everyone by offering high energy, exhilarating classes for all levels. Whether you want to lose weight, stay in shape, get healthy or meet new friends. It’s all right here at TRUE Ride. For us, giving back to the area that supports us is part of our journey, and Northern California and its communities mean so much to us. While we try every day to bring a unique and exciting product to our customers, we realize that many members rely on the generosity of citizens and businesses. 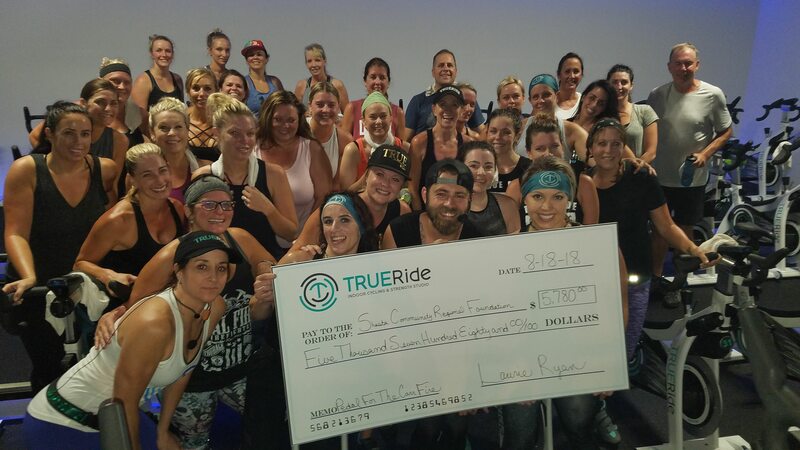 TRUE Ride will host a “Ride for True Change” to benefit a local charity. These rides are donation-based classes that will raise funds to support our community. How does it work? 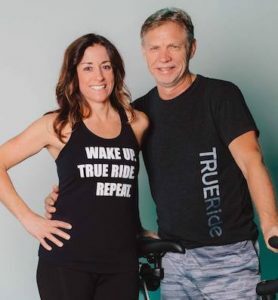 TRUE Ride will provide an instructor and staff for a 45-minute charity ride as well as access to the facility for a social gathering after the ride. Plus, all guests will receive the royal treatment, including our amenities, such as, shoes, towels, showers etc. Organizations and charities can plan a charity ride in which they will receive all proceeds from the register riders. Riders can also have sponsors to help maximize the amount of money the charities can raise. On location at Fall River Brewing, a 45 minute TRUE Rhythm Ride. All proceeds from this fundraiser event went to the K9’s of RPD, APD, and the Shasta County Sherrifs. Haven Humane was there for a pet adoption day. 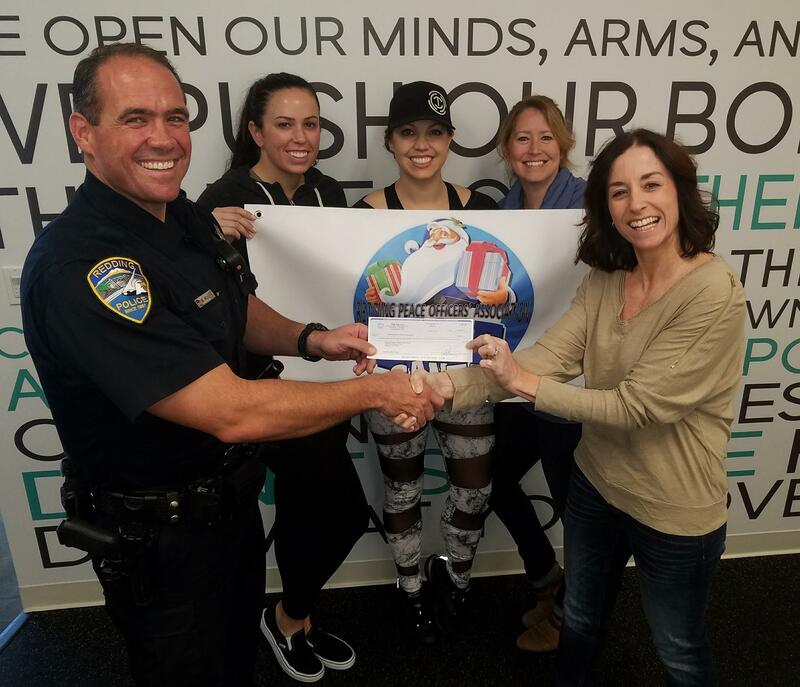 Operation Blue Santa is a program that assists children from disadvantaged families in the Redding area during the Christmas season. Through donations, a complete Christmas package is delivered by Santa and McGruff The Crime Dog! They are escorted through the city and to the doorstep of each home by personnel, including officers, chaplains and volunteers. Stockings with candy and stuffed toys are also passed out to any children seen along our route. Santa also makes a stop at Mercy Medical Center’s Pediatric Unit and One Safe Place. 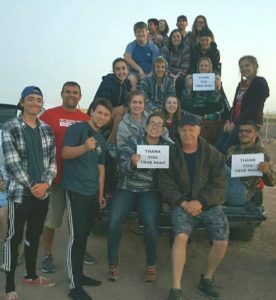 Caffeinate for a Cause is an annual partnership event between Turtle Bay and Dutch Bros Coffee. All funds generated supports Turtle Bay’s work in cultural and science education, from care and feeding of the animals to subsidizing school field trips and booking blockbuster exhibitions. Over 30 local celebrities served up drinks and competed to see who can drum up the most business in the name of Turtle Bay. The final count between all 30 local celebrities baristas was $25,113.42. Amazing job! Thank you for donating online and onsite at all Dutch Bros Coffee in Redding, Palo Cedro and Anderson. 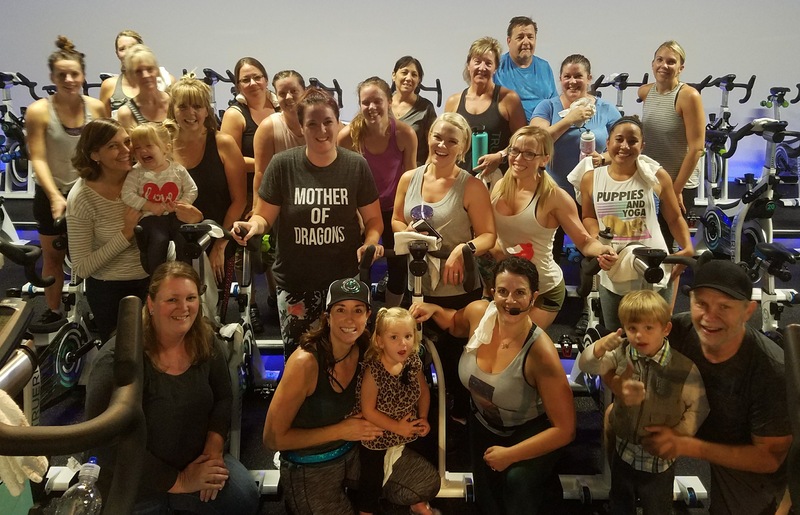 TRUE Ride and supporters raised over $5,780.00 for Shasta Regional Community Foundation. We are so proud of everyone who participated and donated. We can’t express enough of our appreciation. We are #SHASTASTRONG THANK YOU ALL! Short-term support: funds for immediate relief will be made available as they become identified to large scale relief agencies to provide such support. Long-term support: funds for long-term relief will be distributed towards rebuilding and recovery efforts as identified by local collaborative efforts. 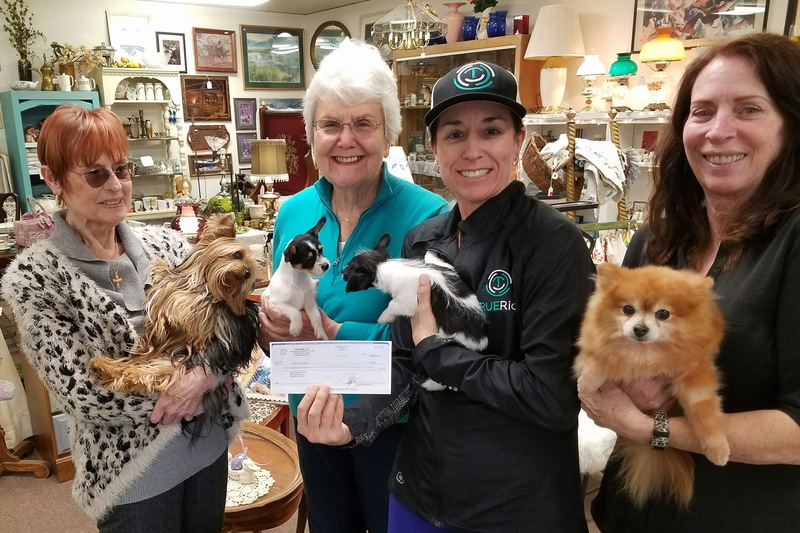 About Shasta Regional Community Foundation: The Shasta Regional Community Foundation is a resource building organization in Shasta and Siskiyou counties dedicated to promoting philanthropy by connecting people who care with causes that matter. Since 2000, the Community Foundation has awarded over $23,000,000 in grants to area nonprofit organizations. Otto Johnson, at only 5 years old, was just recently diagnosed with a rare form of ewing sarcoma — which is cancer. His parents, Jackie and Cliff, are doing everything in their power to help him heal. He will have weekly chemotherapy treatments at the UC Davis Children’s Hospital over the next year, which will require the family to travel and stay in Sacramento during his treatments. The funds raised here will be used for Otto’s treatment as he fights off this cancer. 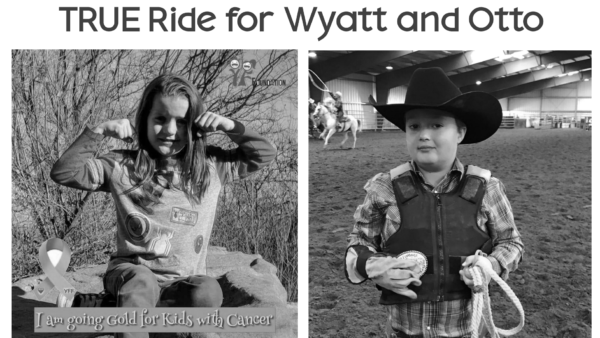 Wyatt- In May 2017, we heard the words every parent dreads “Your child has cancer.” Over the next several weeks and one surgery later we discovered our sweet, eight year old boy has stage two cancer in his brain stem. Wyatt is the first child to have this rare form of brain cancer and because of it’s location and size, it is inoperable. There is no standard form of treatment for Wyatt’s rare cancer but his doctors feel chemotherapy is currently his only option. It is heartbreaking to see our son who loves to hunt, fish with his grandpa and race around on his dirt bike, suffer through the effects of chemotherapy. While we are trying to maintain a “normal life” the financial struggle we are now in is only adding to the emotional and physical toll cancer is having on our family. They say it takes a village to raise a child…well it takes even more to save a child’s life. Medical bills are pouring in and they will only continue. We are 3 1/2 hours away from Wyatt’s doctors at UCSF, bi-weekly blood tests, prescriptions, hotel stays for treatment, the list goes on and on…Every dollar helps us take one more step forward for Wyatt. Brain cancer is the leading cause of death among childhood cancers and the 5 year survival rate is ONLY 22%. Thank you for helping us fight for Wyatt. The Alyssa Araiza Wings of Angels Organization is committed to aiding families who have children suffering with pediatric cancer or life threatening illness by providing unique support in ways other organizations do not. Families served live in Shasta, Siskiyou, Trinity, Lassen, and Modoc counties in Northern California. Wings has provided $1,250,000 in assistance to more than 200 families since 2002. Over the years the program has evolved somewhat but the basic concept has remained the same; to assist families with children that might not otherwise have a Christmas. Through community donations Christmas gifts are provided to these families. The gifts include certificates for Christmas dinner items and gifts for the children, including stockings with candy and stuffed animals. The gifts are delivered on a specific date to the families home by Santa Claus and McGruff the Crime Dog. Santa and McGruff are escorted by uniformed and non-uniformed Police Department Personnel, including volunteers and Chaplains. Did you know Shasta County h as one of the highest percentages of children in foster care in all of California? There are literally thousands of children who need our help. We are raised over $450.00 for Foster Kinship Adoptive Parent Association. 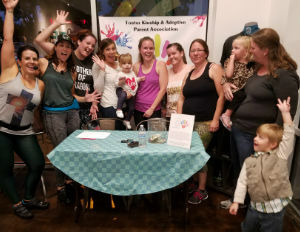 This organization serves Foster , Kinship, and Adoptive Families in Shasta County by providing support groups, respite resources, family outings, swimsuits in the summer, jackets in the winter, and many other things that we take for granted. 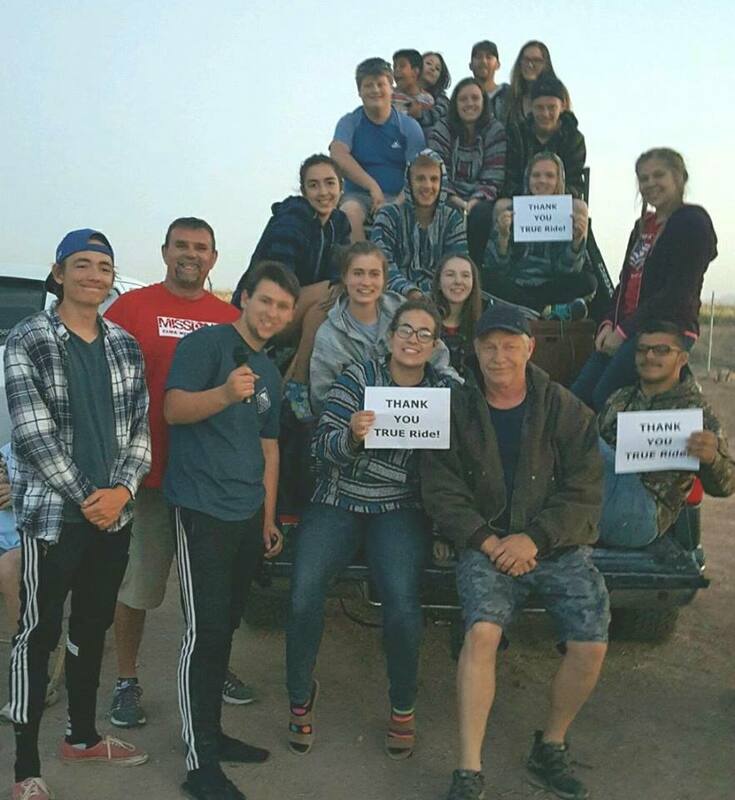 TRUE Riders loved helping the children of our community. One SAFE Place provides legal services, safety and emotional support to intimate partners, children and senior affected by domestic violence and sexual assault. Debi Chimenti will be competing with other dancers in the 11th annual “Dancing With The Stars” on July 8th, 7 p.m.
Activate RK Youth Ministry partners with families to guide children to grow to be adults who know and love Jesus and live their lives in response to that love. 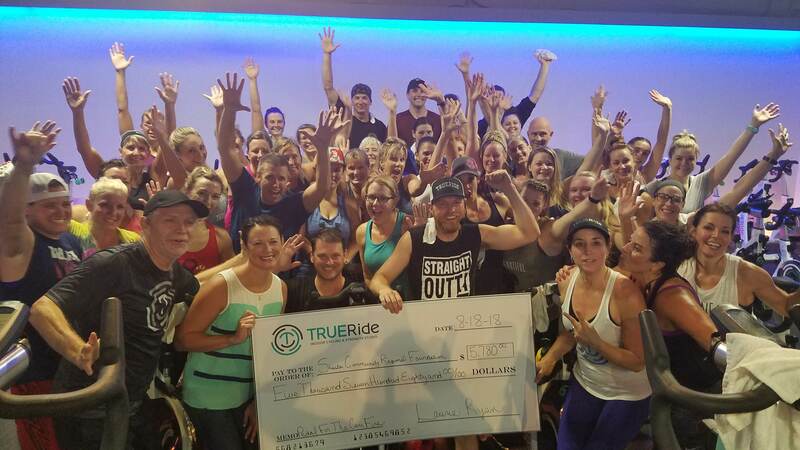 Ride for TRUE Changed raised over $867.00 for these young adults making a difference. ResQ Animal Coalition is a small, non-profit recuse dedicated to saving animal lives. They believe strongly that a rescue should not only be a shelter to unwanted animals waiting for homes, but also strive to save the lives of those in our community who are suffering through neglect and abuse. 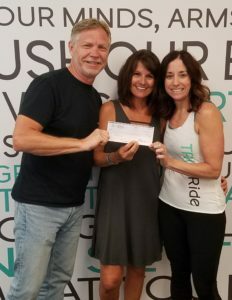 Ride for TRUE Change raised over $645.00 for this great cause. If you are a non profit organization and wish to participate in a charity ride, we would love to hear about it. Please fill out the “Charity Request Form” and return to our studio.